Interventional Radiology is often referred to as “minimally invasive surgery” because interventional techniques allow radiologists to view the inside of the body guiding narrow tubes or catheters and other very small instruments through the blood vessels and other body pathways to the location of a medical problem. Procedures performed by interventional radiologists are less invasive which results in less pain and risk and are performed at a lower cost. 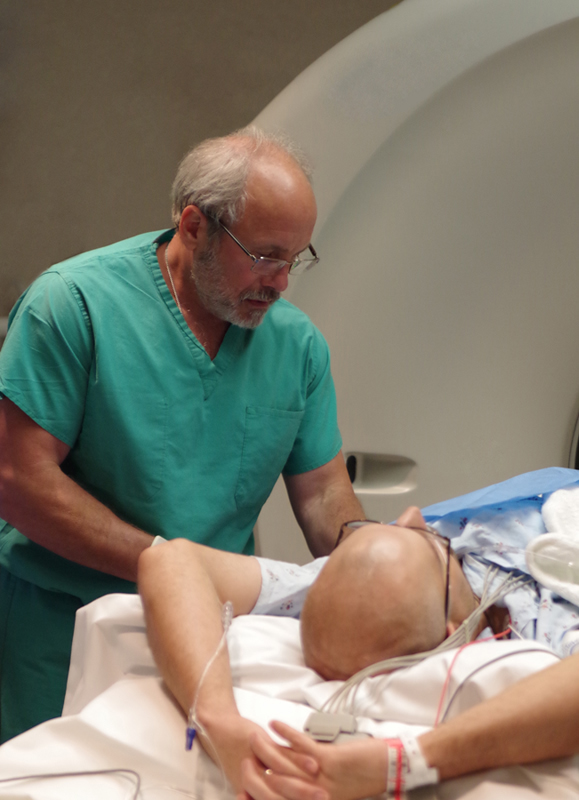 Related to Interventional Radiology is Interventional Neuroradiology, which performs minimally invasive procedures on the spine, brain, and nervous system, such as the wide variety of interventional pain procedures. We offer every procedure for back pain and pain elsewhere in the body, such as epidural steroid injections. We also perform diagnostic procedures such as biopsies, diagnostic and interventional angiography, interventional oncology procedures, and interventions that aid in postsurgical support. We perform procedures such as angiography, angioplasty, uterine fibroid embolization, radiofrequency ablation, chemoembolization, percutaneous biopsy, nerve root blocks, facet and SI joint injections, epidural steroid injections, venous access, dialysis fisulagram, angioplasty and declot vascular stenting. In addition, the Angio/Interventional section performs TIPS, IVC filters, and interventional oncology.